Learn the in's and out's of marketing yourself and your business on Snapchat, Stories and much more. With top Snapchat influencers share the top tactics, tips, tools, and strategies. Authors note: Snapchat and all social media always update their interface on a regular basis. At times the content can be minorly out of date but key strategic information is always up to date. Welcome to Mastering the Snapchat Interface... Once and For All! Branding and Advertising, Gone Snaptastic! What Content Does well on Snapchat? Community Building Message: Welcome to My Community! BONUS! 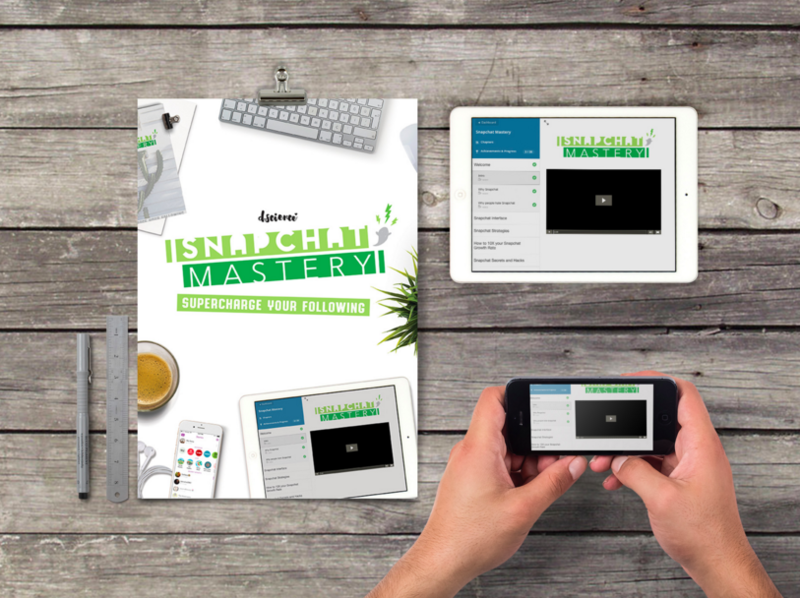 Snapchat Mastery Podcast Episodes to Crush Your Snapchat Marketing! SNAP Just Wu! Grab the Snapcode! Snap Sarah Peretz - Snapcode! SNAP Emelina! Grab the Snapcode! Woohoo, You Rock!! A Big Thank You!